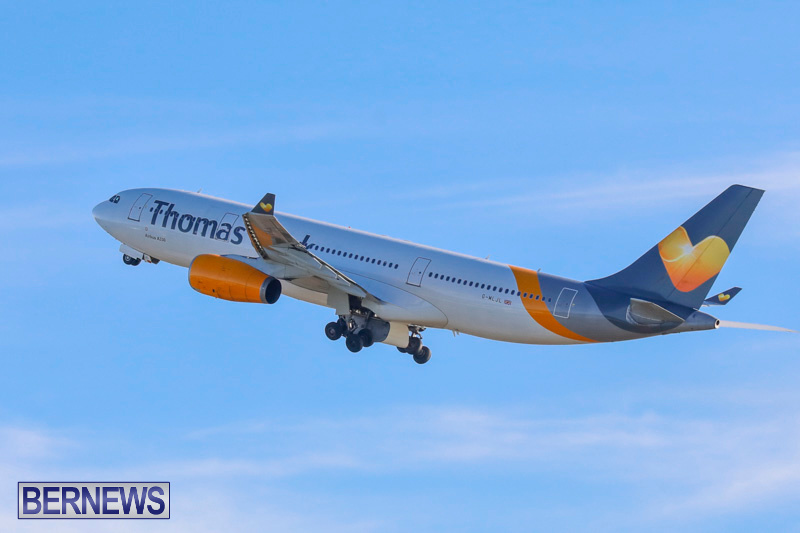 A Thomas Cook Airlines Airbus A330-200 [twin-jet] landed at the L.F. Wade International Airport at approximately 2.30pm this afternoon [Dec 12] for what Bernews unofficially understands was a fuel stop. 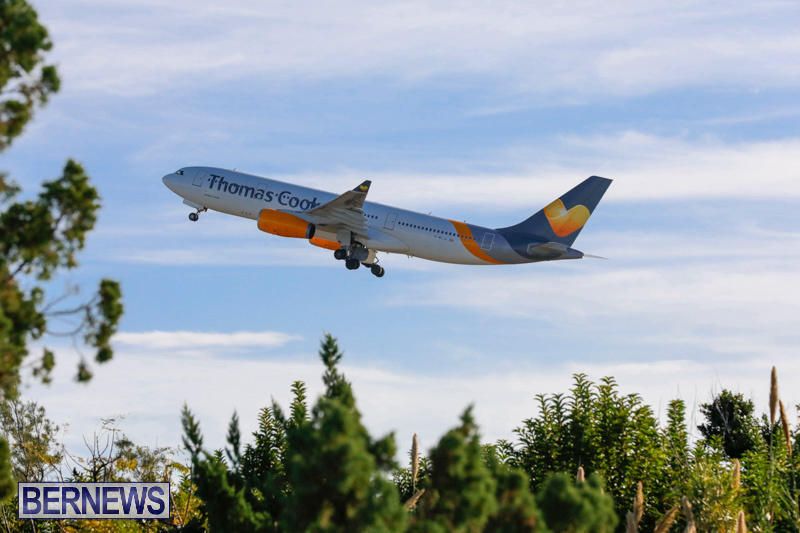 Flight 2816 departed London Gatwick Airport earlier this morning travelling to Frank País Airport in the Cuban province of Holguín when the pilot diverted to Bermuda for fuel. The flight continued on its journey at approximately 3.45pm this afternoon. Bermuda Fire and Rescue Service trucks were standing by near the aircraft as fueling took place. Strange – do they normally do that? How so? You burn more than expected due to headwinds. You don’t have the required minimums. You need to stop & top up. Happens. Most likely case. Or someone miscalculated how much fuel was needed/fueling error. Could be a serious fine if that was the case.